Grant Finnegan’s The Seventh List—coming soon - Hourigan & Co. This week Hourigan & Co. author Grant Finnegan received the print proof for his thriller The Seventh List, due out 30 May 2014. You can preorder the electronic edition on iBooks for just $3.99, and read a sample. For Grant’s project, we did print typesetting and e-book production, commissioned a fantastic cover, helped write the blurb, and arranged print and electronic publication. We’re also continuing to guide him through to launch with ongoing advice on marketing and communications. The Seventh List is an exciting read, so we recommend you check it out, especially if you’re a thriller lover. For now, though, I’m just super-excited to see a great-looking book in the hands of its author at last. Congratulations, Grant! 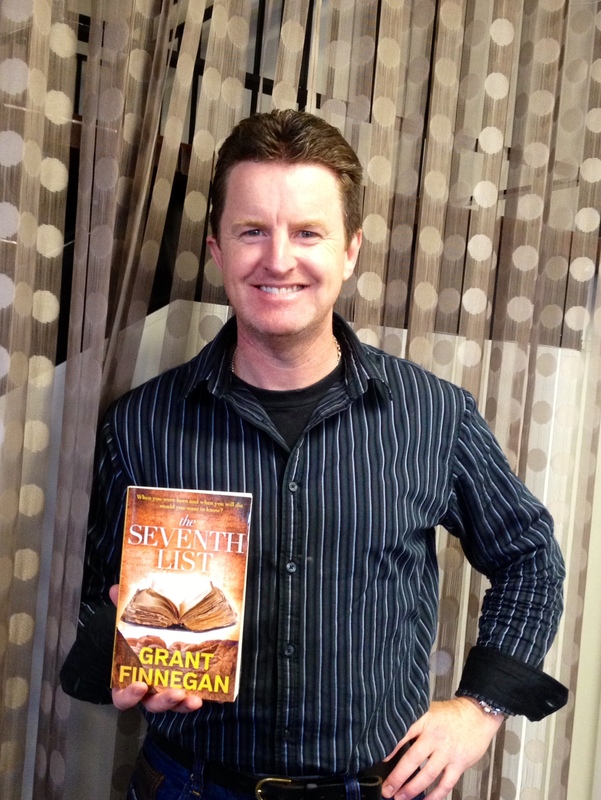 Author Grant Finnegan with The Seventh List. Founder at Hourigan & Co.
Ben Hourigan is an Australian-born novelist and freelance editor. His novels Kiss Me, Genius Boy (2011) and My Generation’s Lament have been Kindle bestsellers, reaching #9 and #10 in the World Literature > Australia & Oceania category. Since 2013, Ben has worked full-time at Hourigan & Co. while writing his third book. As Hourigan & Co. grows, Ben continues to work with businesses and institutions while cultivating a growing practice in editing, publishing, marketing, and mentoring for self-published authors. Sign up to our mailing list so we can keep in touch. We don't often send messages (so, no spam! ), but when we’ve got some exciting news or an offer you might like, we’ll be sure to let you know. Success! You’ve subscribed to our list. Thanks so much. And when you’re ready to start that project, or if you’ve got any questions, please be sure to come back and send us a message. We’re here to help you.